The Fund for Investigative Journalism (FIJ) and the Schuster Institute for Investigative Journalism at Brandeis University are pleased to announce the winners of our nationally competitive journalism initiative funded by the Ford Foundation, with the express goal of increasing diverse and inclusive voices and topics in investigative journalism. Five journalists will be awarded grants and fellowships for social justice investigative reporting projects, and two early-career journalists selected as “Rising Stars” will receive editorial mentorships in addition to grants and fellowships to support their projects. Lisa Armstrong, Michele Chabin, Lottie Joiner, Jaeah Lee and Linda Matchan were selected as FIJ Schuster Institute Social Justice Investigative Reporting Fellows and will receive grants and fellowships to conduct their investigative reporting. The two selected as Investigative Journalism Rising Stars are Sonia Paul and Stacy Thacker. Tax credits for Pennsylvania film and TV productions being wasted? 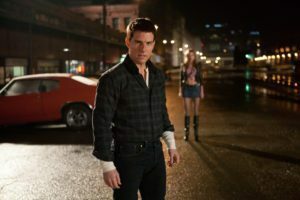 Pennsylvania has spent more than half a billion dollars over the past decade to lure film and TV productions to the state. But an investigation by PublicSource suggests that millions of dollars spent to provide film tax credits are not only being misallocated, but also wasted. Some of the findings: All but 1 percent of film tax credits are transferred to companies that have nothing to do with film or TV – essentially transforming the program into a backdoor tax break for some of the largest corporations and utilities operating in Pennsylvania. Allegations of fraud have long clouded a ski resort in northern Vermont, including allegations that developers misused $200 million in immigrant investor funds raised through wealthy immigrants seeking special U.S. visas. 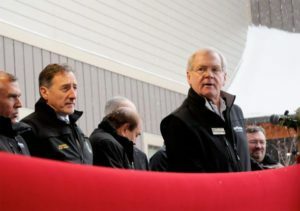 VTDigger began reporting on these allegations two years before the Securities and Exchange Commission brought charges against the developers last April in what VTDigger reports is now the largest EB-5 immigrant investor fraud case in the nation’s history. In its investigation, VTDigger found that the division of state government charged with monitoring the EB-5 program in Vermont did not properly oversee the Jay Peak projects and that top elected officials promoted the developments to overseas investors despite allegations of fraud dating back to 2012. 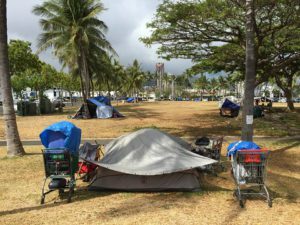 Hawaii has the nation’s highest rate of homelessness, with thousands of impoverished people setting up tent cities on sidewalks and along beaches. Many of the homeless are from the Pacific region of Micronesia, whose residents are allowed to live and work freely in the United States under a 30-year-old treaty. Hawaii has been the overwhelming destination of choice, and the state is struggling to accommodate these new arrivals. Aaron Wiener of Mother Jones provides an overview of the dire situation and how it came to be.